On this page you will find the latest 'breaking' news from Redditch U3A, its groups and events, plus the latest news from National Office. Neil Sands and company invite you to take a Sentimental Journey back through the 1970s,1960s, 1950s and 1940s, featuring 60 singalong show tunes and hits. Saturday 18 May 2.30pm at St Stephen's Church, Church Green, Redditch. Tickets £10, available from the Christian Word Bookshop in St Stephen's Church. "A delightful afternnon of non-stop goldern nostalgia." *** NEW INTEREST GROUP *** A Spanish Conversation group will meet for the first time in December to decide the format of future meetings. Please see their group page for details or speak to Sue Gee. If you enjoyed reading 'Running Hot & Cold' written by our member, Doug Richards, then the sequel 'Can We Run With You, Grandfather?' is now available in paperback. Copies are priced at £12.99 and are available from bookshops, Amazon or Doug himself, who will bring copies to future Tuesday meetings. 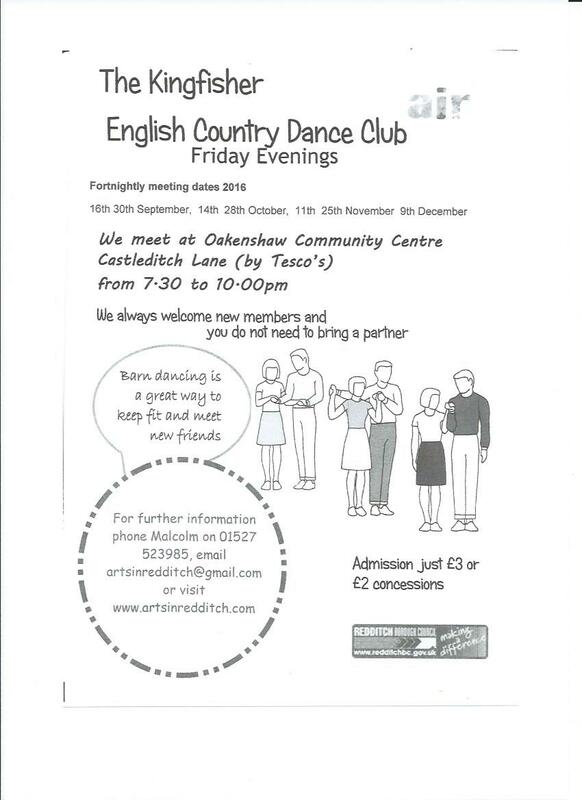 Are you interested in Country Dancing? Please see the leaflet to the right for a local club that would welcome new members. David Pattenden has compiled some information providing details of amateur music groups local to Redditch which might accept new members, and therefore be of interest to musically inclined members of Redditch U3A. Click on the link to the right of this page to see this information. Would you like to start a new interest group for Redditch U3A? The committee have drawn up some helpful advice which you can find via the link on the right (updated Feb 2019).